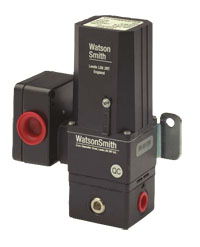 The Watson Smith family of current to pressure(I/P) , Voltage to pressure (E/P) and precision regulators has led the way in technology in converting 4-20mA and 0-10V electrical signals to pneumatic signals of 0.2 to 1.0 bar and 3 to 15 psi. These devices are mainly used as the final electronic element in many control loops. Standard models currently in stock! All electronic I/P converters have closed loop control, excellent vibration resistance, long term stability and can be mounted in any orientation. 4-20mA signal and a range of output variations. For price and delivery, please contact us ! Rugged and reliable force balance converters for use in both process control and industrial applications. Robust, explosion-proof pressure converter with Triple Certification and IP66 & NEMA 4X weatherproofing. With ExN Certification. 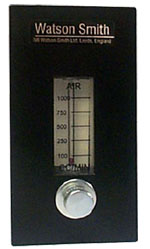 This instrument convert pneumatic pressure into electrical signals for use with data loggers, computers and microprocessors. The Type 68 is a two wire pressure/current device. This use only non-critical power supplies. 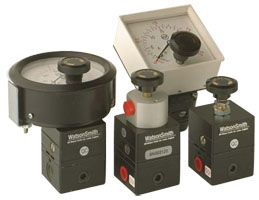 The Type 71 P/I instruments convert pneumatic pressure into electrical signal. It is a two wire device, uses non- critical power supply and is supplied to IP65. With Hazardous Area approved to ATEX, its encapsulated electronics makes it good for shock/vibration performance. The Manostat Precision Pressure Regulator Range are designed for critical pressure control applications and have demonstrated outstanding reliability in many thousands of applications worldwide. 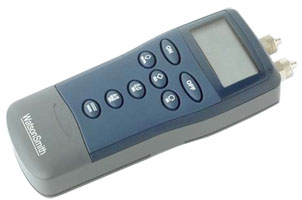 It is suitable for dead-end (closed load) conditions and can be supplied on its own or with a visual display dial. The base unit has been developed to be operated by various mechanisms making it ideal for many different applications. Versions include: handwheel, plunger, lever operated and volume boosting air relay. 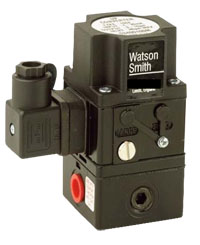 These Manostats are available as Handwheel or Volume Boosting Air Relay operation options. » Ideal for for dead-end (closed load) conditions and can be supplied on its own or with a visual display dial. 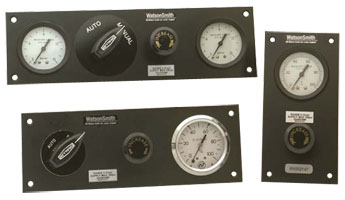 » DIN/Dial versions for visual indication of set pressures. Options include Plunger, Lever and Volume Boosting Air Relay operation. » Control relatively independent of flow and temperature. » A high relief version is avaiable for applications requiring a rapid exhaust. 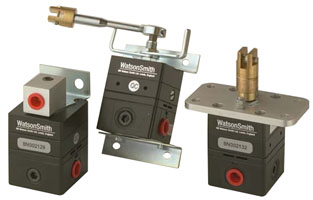 Remote manual and auto/manual loading stations are designed for the remote control of pneumatic systems using a manostat regulator and different combinations of air switching valve and pressure gauge. The type 300D portable pressure meter is a digital unit designed for the calibration and test of pneumatic instruments and systems. With Automatic Zero Calibration for added accuracy, a back-light for easy reading and standard set-up retention to ensure the last setting remains on the unit when re-powered. 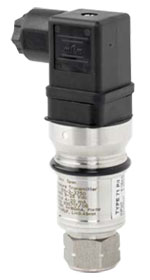 The Type FRI-30 is an adjustable indicating air flow controller consisting of a differential regulator, needle valve and variable area flow meter. It is suitable for level control and air purge applications. Also available in limited options: The 122E Explosion Proof I/P Converter. 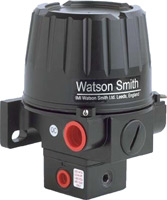 We can also supply suitable replacement units for obsolete Watson Smith I/P Converters such as the Type 421, Type 423, Type 425 and type 440. Please contact us for further information. A complete range of valve positioner including pneumatic, eletro-pneumatic and digital positioners. "The supply and control of Liquid Nitrogen is critical to our Manufacturing process, so a recent breakdown completely disrupted our production runs. 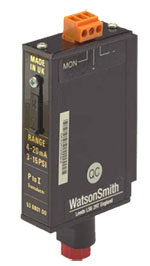 Coulton Instrumentation were able to deliver a Watson Smith I/P converter in superfast time. My initial phone enquiry was handled in a very efficient and helpful manner resulting in the placement of order, delivery, component installation and system restore all in under 6 hours. No mean feat considering the M25 and 200 road miles in between! My appreciation and thanks to all concerned"